Classic Ltd. basket. Suede Handrail and padded upright covers. Scuff leather. 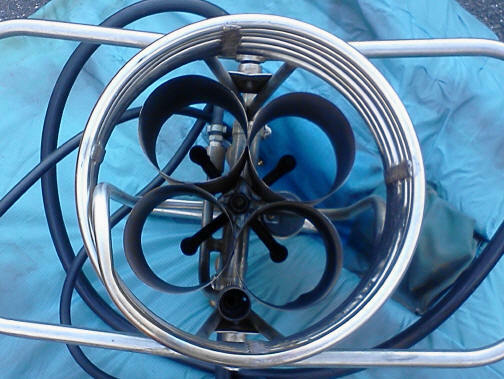 Four point stainless steel uprights. Two 20 gal laydown tanks (will be visually requalified at time of sale). Ball Instrument pack (Aegis pyrometer style). Zone Five double burners (needs new fuel lines). MAY BE PURCHASED AS A PACKAGE, OR ALL COMPONENTS ARE AVAILABLE SEPARATELY. Multi-colored spiral envelope design with SS cables and 4 point carabiner connections. Nomex skirt. Deregistered as of May 2018. **No Airworthiness Certificate available. 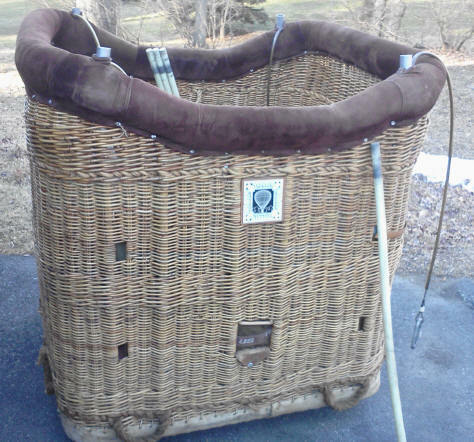 Lovely little T&C UK built basket, approximately 42" x 48" x 48" tall (measured outside handrail). Great for a homebuilt project or another small T&C envelope. Nylon flexi posts with suede covers. Everything in very good, clean condition. One 10 gal aluminum, looks like it came from a Raven. Six tank straps. 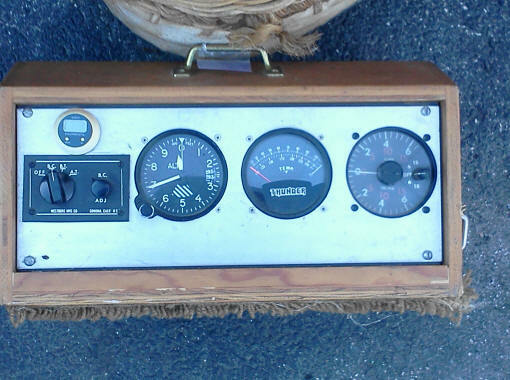 T&C analog instrument pack in wooden case. Electric variometer. Wire-style pyrometer. (9-13) $2900.00 for everything or inquire about "a la carte" pricing. 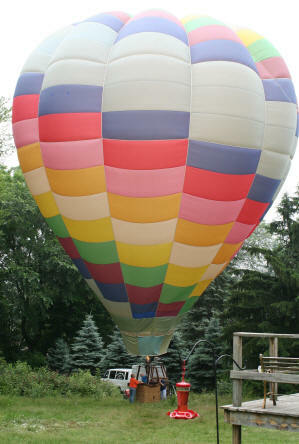 Contact: Paul S. Stumpf (802) 875-1600 -or- psstumpf@aol.com Please mention Balloon Model and Total Time when e-mailing to request more info.